My friend and I went to my favorite kickboxing gym, CKO, last weekend. We both wore our heart rate monitors to track our heart rates and calories expended. 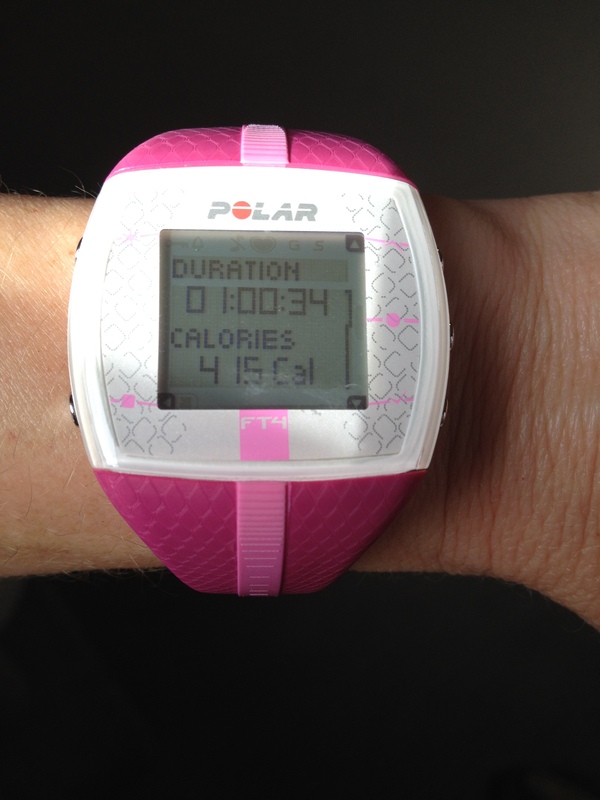 At the end of the one hour fun, but grueling class, my Polar heart rate monitor stated that I burned 415 calories, but my friend only burned 300 calories even though she’s taller, more muscular, and kicked the bag with more intensity. My friend is a triathlete and has an amazing aerobic capacity. It’s common for triathletes to have their heart rates at a lower level since they are extremely fit. Even though she appeared to work harder, it was more challenging for me, thus I burned more calories during and after the class. She was upset because she wanted to burn at least as many calories as I did, but regardless of the intensity, she cannot seem to get her heart rate above 150, which is not necessarily a bad thing. For these trained folks, adding more cardio and trying harder is not usually the answer. To increase your heart rate and burn more calories, triathletes, just like the general population, should add weight-training to their weekly regimen. Don’t worry about bulking up. If you’re doing a lot of cardio, it’s unlikely that you’ll get huge muscles from weight-lifting.